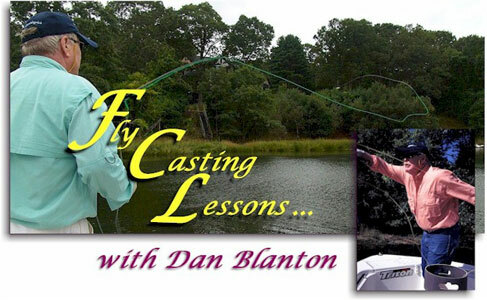 Dan Blanton, a certified fly casting instructor, has been teaching people to fly cast for more than 35 years. In fact, Dan probably taught the first all women's fly casting clinic in the early 1970's. Many of today's most prominent fly fishers began their career in one of Dan's group or private fly casting clinics. In the past, Dan regularly taught fly casting schools and clinics for Sage, manufacturers of the Sage line of fly fishing equipment. However he recognizes that many individuals may prefer private tutoring, where they receive 100 percent of the instructor's attention. And, of course, there are those anglers beyond the elementary level, who wish advanced coaching in order to achieve greater distance, better presentation or to learn how to use shooting heads and other advanced casting techniques. Whatever your particular fly casting requirement, Dan can meet your needs. plus any related travel expenses.